“Increasing demand for transport services must be handled while emissions and the climate impact cannot continue to increase. Transport and mobility have to be part of the solution. Scania is well-prepared to assume this challenge,” says Scania’s President and CEO Henrik Henriksson in the company’s integrated Annual and Sustainability Report 2015, available today on Scania’s website. The Scania Report 2015 highlights the driving forces impacting the transport sector, describes Scania’s business model and value creation for the stakeholders. In parallel with describing how Scania works according to ambitious standards in the sustainability field, the report highlights Scania’s view of what is required to transform today’s transport system into the sustainable transport system of tomorrow. Energy efficiency, alternative fuels and electrification will play key roles and Scania can even today offer innovative technological solutions in these areas. However, to achieve a sustainable transport system it is necessary to look at the entire logistics system where there is huge potential to improve efficiency. To activate communication in the entire transport system through connectivity requires smart infrastructure combined with a broad use of information and communication technology. A new way of thinking about transport services, innovation and collaboration is also essential. 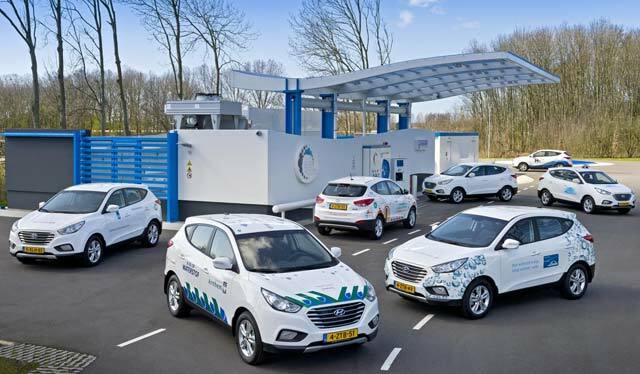 “Through partnership with our customers and other players, within and outside the industry, we are developing a real understanding of what is needed to change transport systems and increase efficiency in the entire value chain,” says Henriksson. 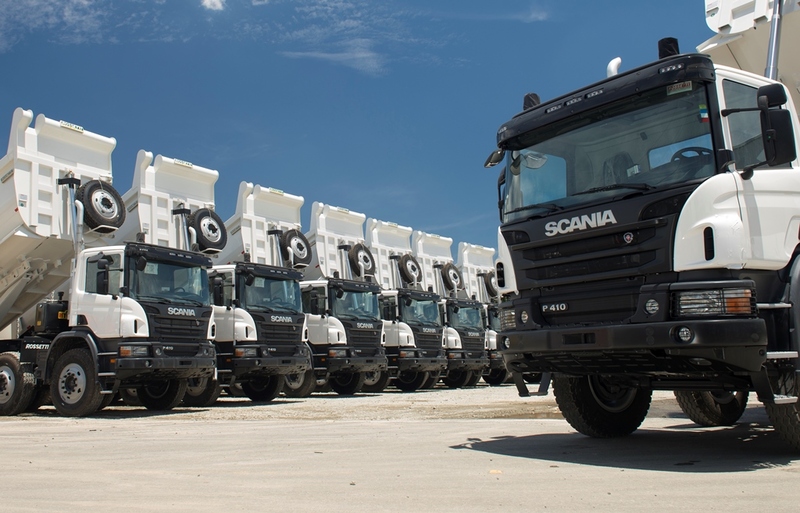 Scania works with sustainability in an integrated way. The responsibility for environmental, social, ethical and financial issues lies with the company’s line organisation and in the core processes. To better reflect this, Scania is taking another step towards integration and publishes an Annual and Sustainability Report containing financial, social and environmental information in the same report. 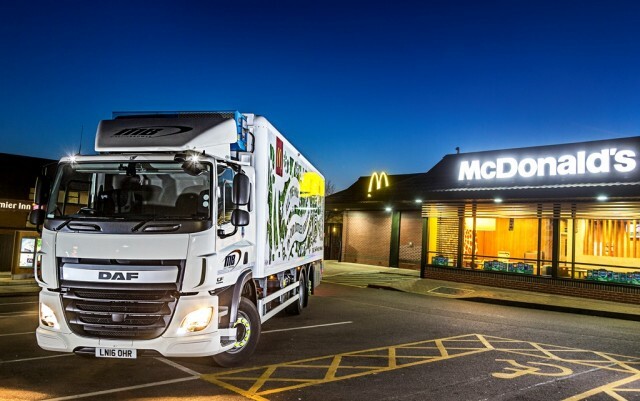 DAF Trucks has supplied five CF rigids to Martin Brower for their client McDonald’s. The CF 290 FAN rear-steer vehicles feature DAF’s Silent Mode which reduces noise levels to less than 72 dB(A) during night-time deliveries. The new vehicles join an all-DAF fleet of 157 vehicles. 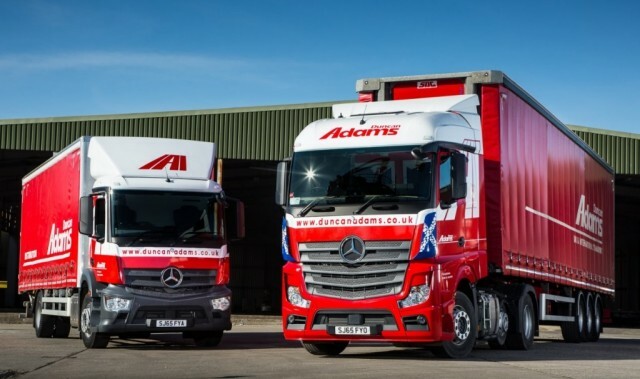 Mercedes-Benz Trucks has delivered eight trucks to haulier Duncan Adams in Grangemouth, United Kingdom. Five units are Actros 2545 tractor units, one unit is an Actros 2443 tractor with small-wheeled mid-lift axle, and two units are 18-tonne Antos rigids for local delivery work. The new units join a mixed fleet of 110 vehicles. Last year, a car with a real personality turned 65. But even older than the Volkswagen van, which has conquered the whole world, is ABT Sportsline, having provided “traditional innovation” for 120 years now. “The Volkswagen van has been with us for a very long time – as our team bus in motorsports or for tuning,” says Hans-Jürgen Abt. 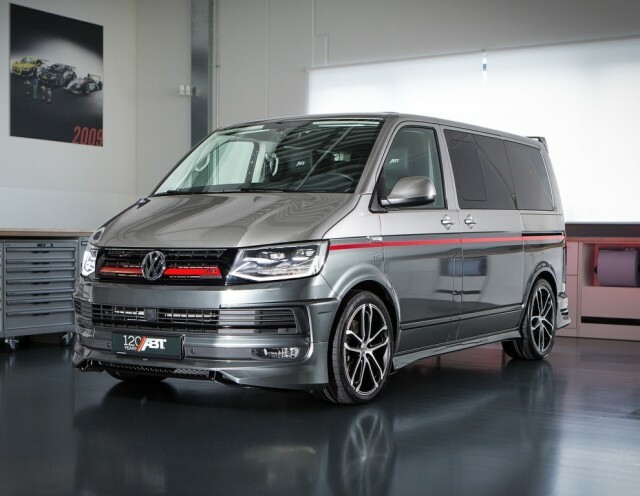 For the CEO, the new T6 in particular is more than just an ordinary van. The latest model is really quite something, especially after having been “ABTed”. The special anniversary edition, to be seen at the Geneva Motor Show, has 235 hp (173 kW) instead of the serial 204 PS (150 kW). The 2l turbo diesel’s torque stands at 490 Nm and can tow a lot, really. Also available is the 2l TDI with now 180 hp (132 kW). And the anniversary edition, which can also be ordered based on the Audi Q3 and Audi TT in a similar design, does not only show the exclusive “120 Years ABT“ lettering, it also reveals its sportiness through an aerodynamic kit specially developed for the T6. “After all, transporting kiddies, outdoor equipment or suitcases should also be fun,” says Hans-Jürgen Abt, and points out that ABT also enhanced all its predecessors. And that the T6 is a real ABT can well be told. The rear skirt set with its four-pipe exhaust system, the rear wing but also the front grille add on, front skirt add on and side skirts make it appear even more dynamic. For a lower CoG, ABT uses special springs and Bilstein coilovers. 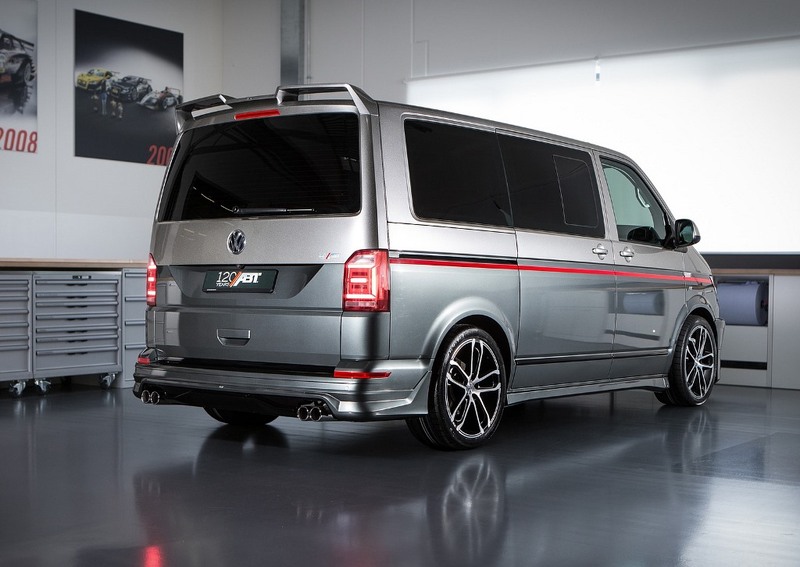 All components are customised to the Volkswagen van without losing their ABT Sportsline touch. Only take the CR sport-type wheels. The car you will be able to see at Geneva will show them in 20’’. These rolling eye-catchers use 275/35 R20 tyres. After all, the ABT T6 is no compact car but a large all-rounder – sporty and torquey even when all others have long since given up. Presidency of the EU, three Volvo trucks communicating wirelessly and driving closely behind one another, in a method known as platooning, will travel through Europe to Rotterdam. The aim is to move a step closer to the introduction of platooning in Europe. When trucks can drive closely behind one another, fuel economy is improved as a result of the reduction in drag. Drag accounts for up to 25% of a truck’s total fuel consumption, and the closer the trucks drive to each other, the greater the fuel-saving potential. Using wireless technology, the trucks can drive with only about a one-second gap between the vehicles in a platoon. By communicating with each other, the trucks automatically match each other’s speed and braking. “Essentially, this means that the reaction time for breaking is reduced to zero, which in turn improves safety and minimizes the ‘accordion effect’ in connection with traffic congestion,” says Anders Kellström, Project Manager for Volvo’s participation in the EU Truck Platooning Challenge. It is currently not possible to utilize the advantages of platooning on Europe’s roads, since legislation in the various countries governing the safe driving distance between trucks differs. The Netherlands has initiated the European Truck Platooning Challenge in an effort to discuss and highlight the changes required in European transportation legislation that would facilitate the introduction of platooning. All truck manufacturers in Europe have been invited to drive truck convoys from their respective countries to a final event in Rotterdam in April. The Volvo Group will participate by driving three trucks in a platoon from Gothenburg to Rotterdam in the Netherlands via Denmark, Germany and Belgium. Volvo, in cooperation with the Swedish Transport Administration and the City of Gothenburg, will arrange a seminar in Gothenburg in conjunction with the start of the journey to address the potential to enhance the efficiency of transportation through platooning and autonomous driving. A similar seminar will be arranged by Volvo Trucks in Brussels on April 5, 2016. “We believe that platooning offers major advantages, mainly for our customers, but also for society in the form of fuel savings, reduced emissions and enhanced transportation efficiency. Together with the rest of society, the transportation industry needs to tackle such challenges as the harmonization of legislation, and in so doing promote the introduction of platooning in Europe,” says Anders Kellström. 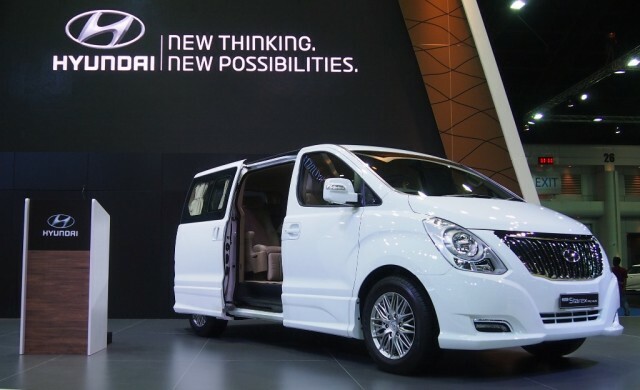 The Grand Starex, Hyundai’s game-changer MPV has been selling very well since launch and with a few facelifts already executed this large MPV has had good market response till today. 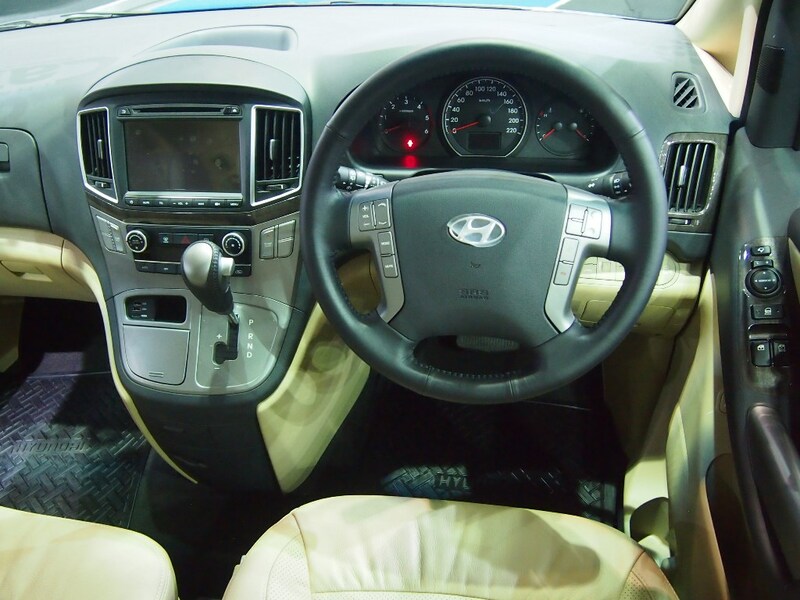 Now Hyundai introduces a higher luxury package Starex to make land travel comparable to that of a private jet. 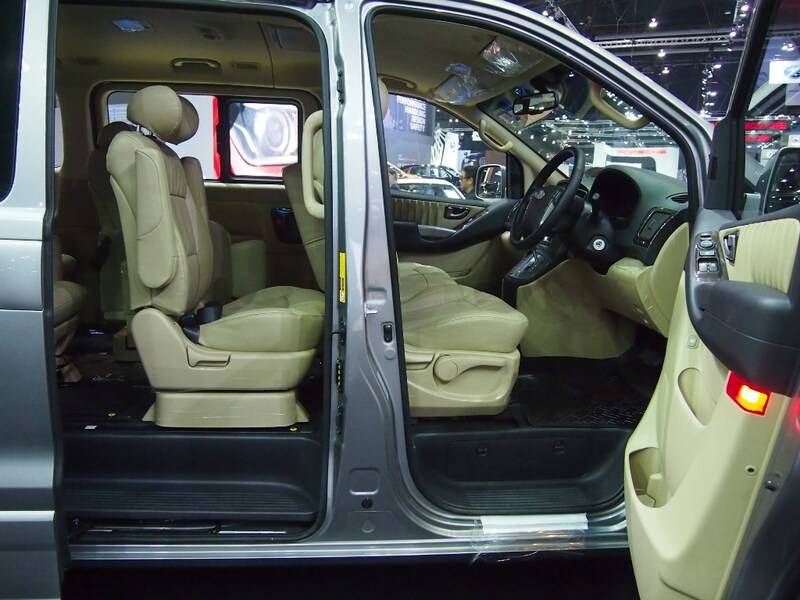 The beige interior trim creates a warm atmosphere of refined relaxation and sophistication. 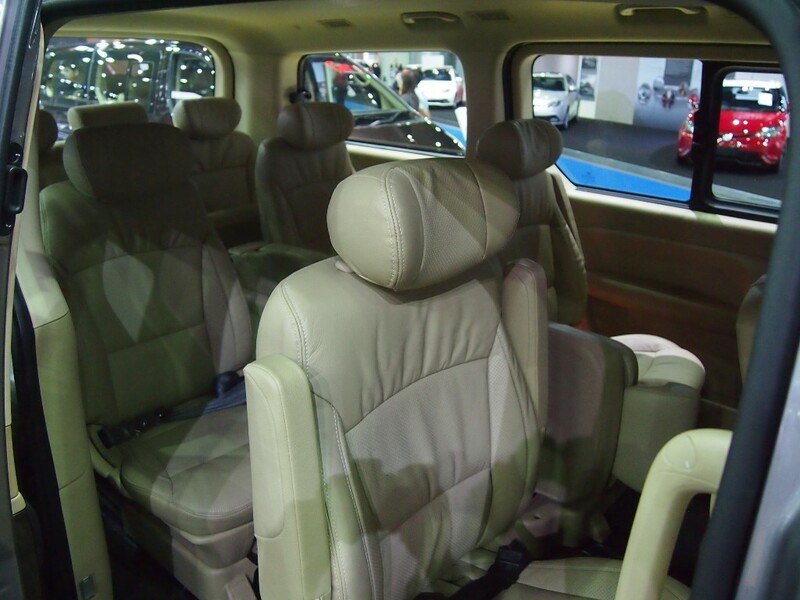 The spacious cabin comfortably seats nine people with only two back rows leaving you more legroom to stretch in. The second row captain seats offer a special position of roomy exclusivity for discerning passengers. 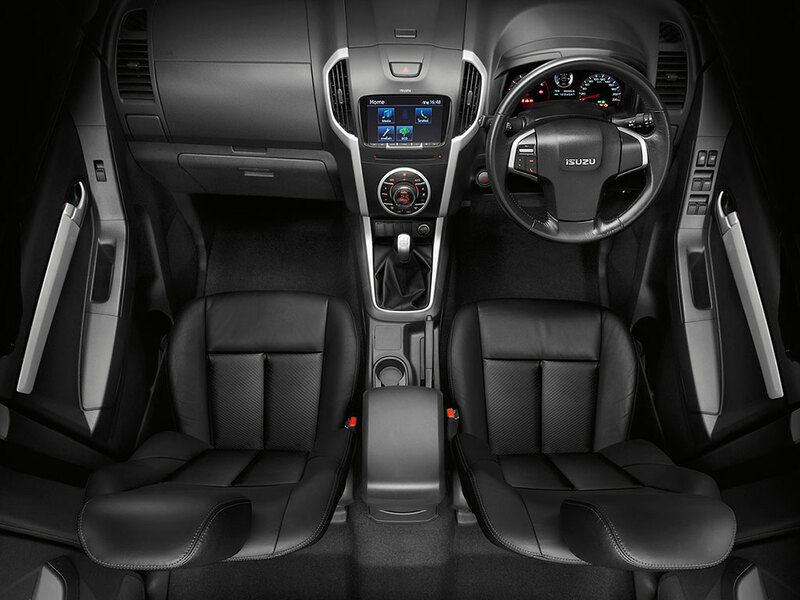 Premium leather generously covers the seats to offer a more refined look and feel. The cabin also features a new 6.5-inch Monitor Entertainment System with GPS Navigation View and 2 nine-inch headrest-mounted monitors for you to enjoy crisp video quality entertainment in every journey. Visually small changes have been made to the exterior. 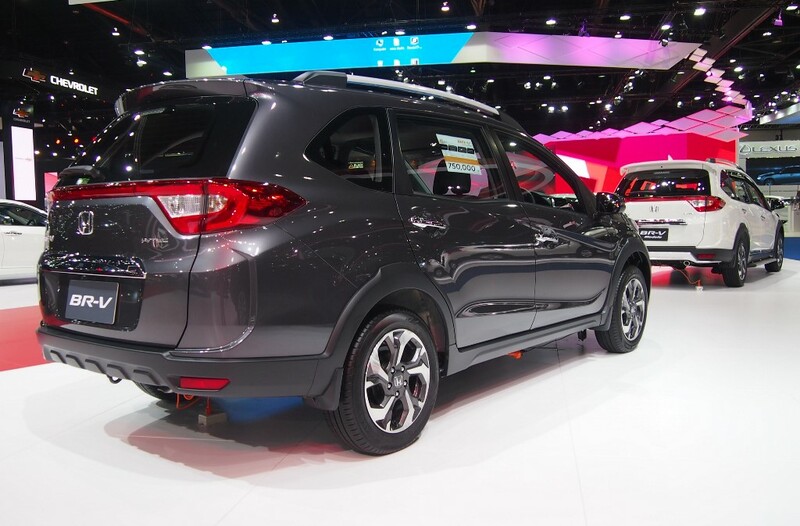 The Grand Starex now comes with a new Chrome Grille, Body-Colored Side Mirror with Side Repeaters, new 16-inch Alloy Wheel design, and new Front and Rear Bumpers. Parking convenience is also enhanced with a Rear Parking Camera to augment the Grand Starex’s four-eye parking sensors. This should be in Hyundai Sime Darby showrooms very soon. 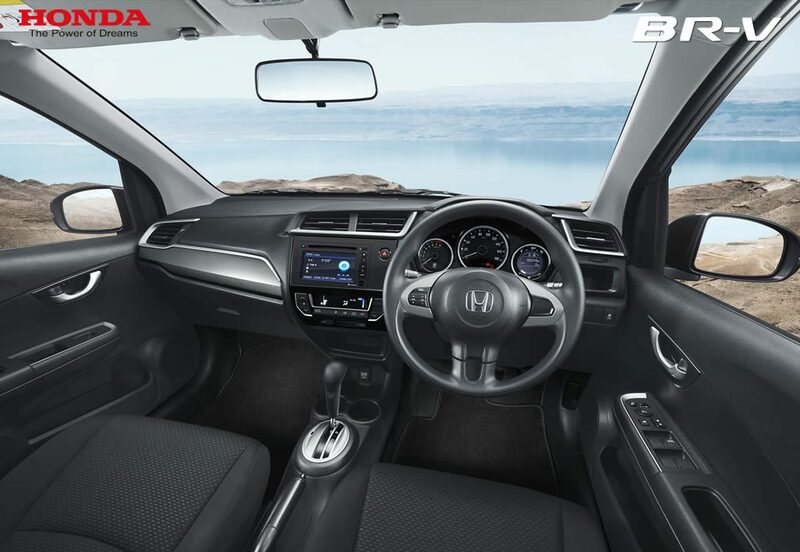 The Honda BR-V is destined to be a best seller in all markets when launched and its success can already be seen. 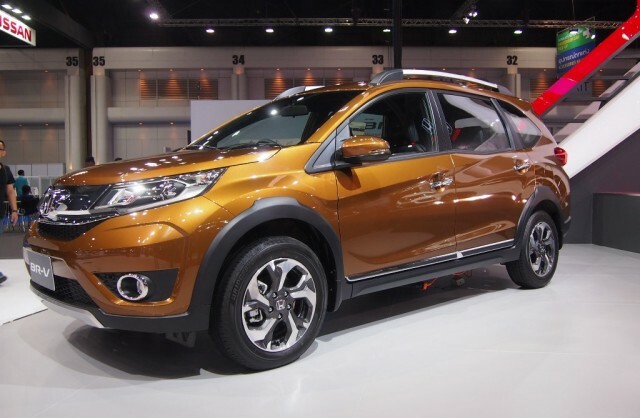 With the cabin space larger than the popular HR-V and looks very much like a crossover, it will compete directly with the Nissan Livina when it comes to Malaysia. 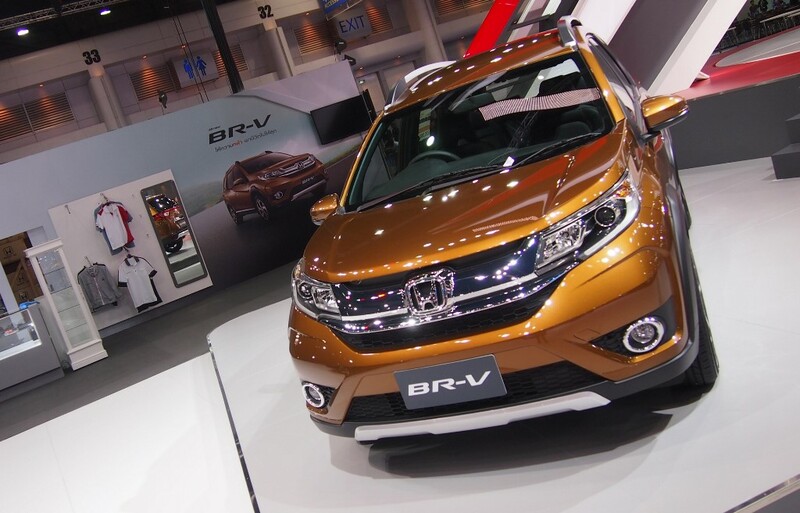 The BR-V’s dimensions are 4,456 mm long, 1,735 mm wide and 1,650 mm tall. It is quite spacious, thanks to its high wheelbase of 2,660mm as well as its ground clearance of 201 mm is also appreciated as it makes driving smoother on Klang Valley roads. It will be powered by Earth Dreams 1.5 liter i-VTEC petrol power-plant that will deliver 118 PS and 145 Nm torque. Honda also claims that this petrol engine will be accompanied with a new 6-speed CVT (continuously variable transmission) that will be offering a “sporty performance and great fuel efficiency”. 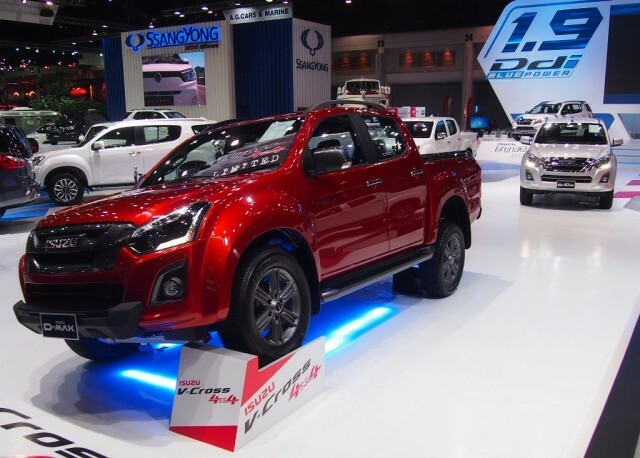 Isuzu Thailand recently revealed the 2016 updated D-Max pickup truck with a game changer engine, a new 1.9-liter Ddi Blue Power turbodiesel that replaces the previous popular 2.5-liter motor. 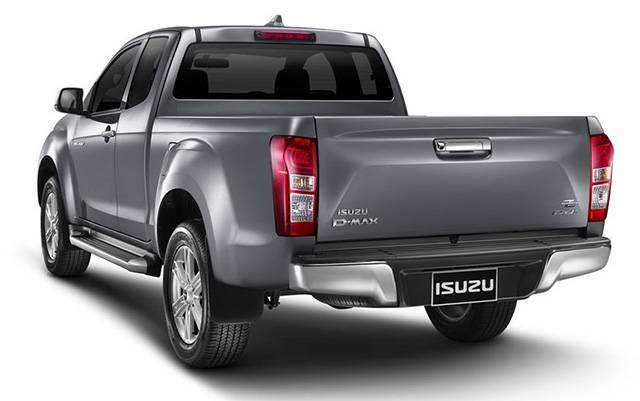 The pickup also had a slightly revised exterior design and an improved cabin features. The exterior design started with reshaped headlights that now comes with LED daytime running lights, new fog light trim accents and a tweaked grill design. There will also be new bumper designs, depending on the variant chosen. The side and rear carries over from the pre-updated version apart from the new 18-inch alloy wheels, shark-fin antenna and a slightly altered tailgate. Inside the cabin there is a new 8-inch touchscreen infotainment system along with a TFT multi-information display placed between the dual gauge cluster. Layout-wise, it pretty much remains the same, though there are new interior trim options available. 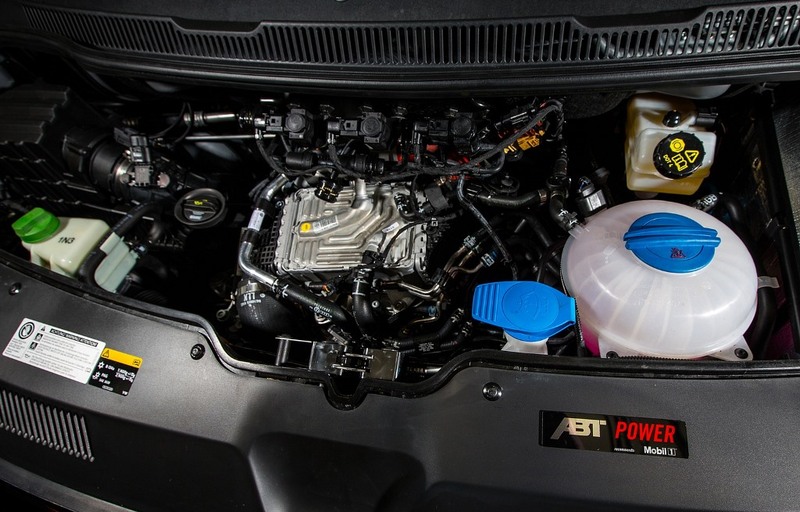 The most apparent change on the 2016 D-Max is its engine. In Thailand, the 2.5-liter 4JK1-TCX will be replaced by the new 1.9-liter RZ4E-TC Ddi Blue Power turbo-diesel. It delivers 150 PS at 3,600 rpm and has a torque rating of 350 Nm that is available between 1,800 and 2,600 rpm. 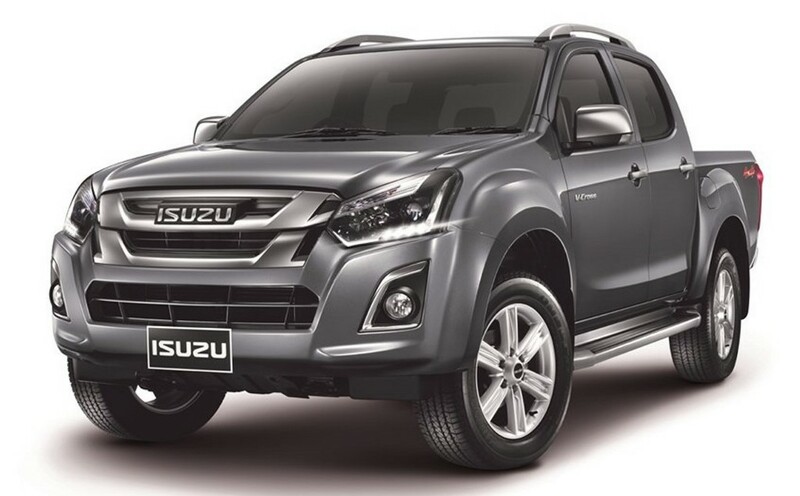 Isuzu also claimed that it will be 19% more fuel efficient and will only emit 161g of C02 per km. The new engine joins the range-topping motor for Thailand, the 3.0-liter 4JJ1-TCX that puts out 175 PS and 380 Nm of torque. It will be available with a new 6-speed automatic with Genius Sport Shift (replacing the older 5-speed auto) and a new 6-speed manual gearbox. 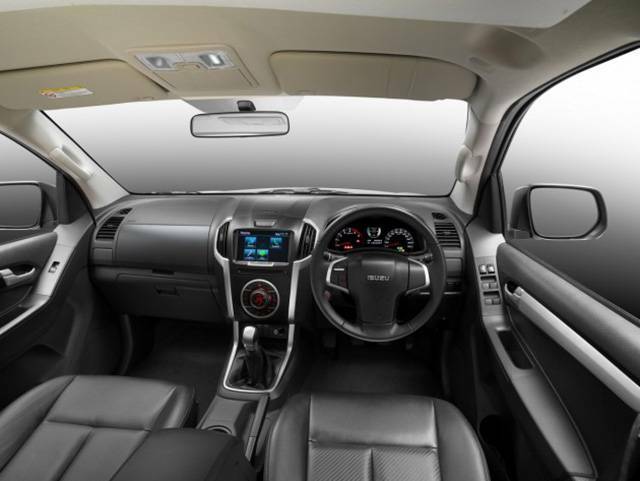 Other features present in the refreshed D-Max include dual front airbags, anti-lock brakes, traction control and electronic stability control, which will only be standard on higher grade models. There will also be an optional tire pressure monitoring system. 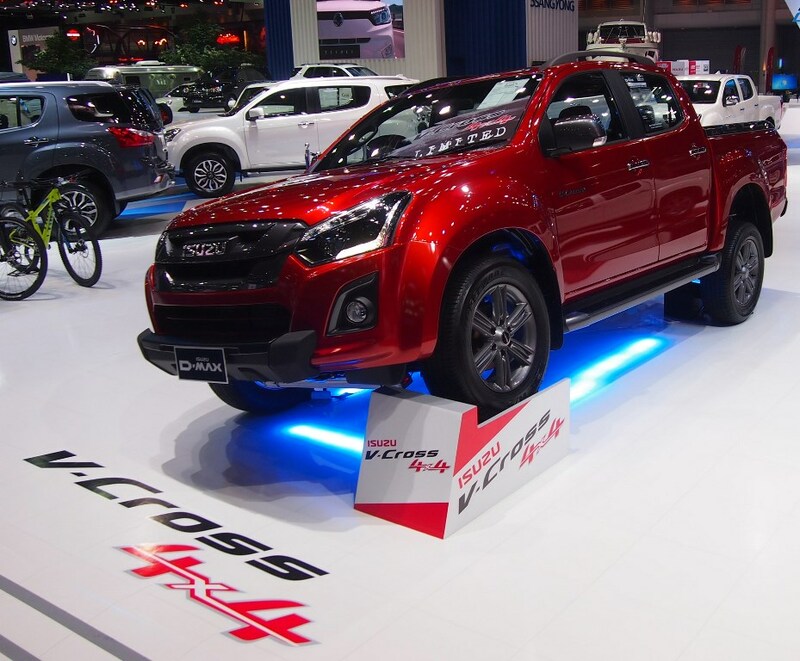 We wonder when this interesting new diesel powered D-Max will arrives in Malaysia. Volvo Trucks North America today launched several new integrated powertrain solutions, offering increased fuel efficiency, productivity, reliability, comfort and uptime plus more efficient chassis packaging. Integral to the new powertrain are enhanced design features that were engineered to provide Volvo customers best-in-class performance, productivity, fuel efficiency and an improved total cost of ownership. 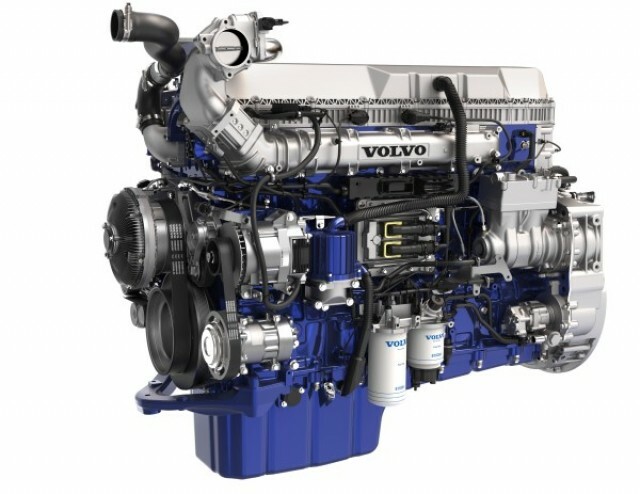 Volvo’s new powertrain offerings include multiple engine enhancements, such as turbo compounding for the North American Volvo D13 engine; the introduction of Volvo I-Shift with Crawler Gears automated manual transmission; Volvo I-See; and a one-box Exhaust Aftertreatment System (EATS). Among the news is Volvo’s 2017 D13 engine with turbo compounding, a technology that recovers wasted exhaust heat energy and converts it to useable mechanical energy that is transferred back into the engine. The result is up to a 6.5 percent improvement in fuel efficiency compared with previous engine models. Applications that benefit most from turbo compounding include long-haul, steady-state driving, which is why the turbo compound technology has been developed for North American long haul applications. In addition, Volvo’s North American 2017 11-liter D11 engine and the 2017 D13 also both received numerous updates designed to improve fuel efficiency. These updates alone boost D11 to up to 425 horsepower, while improving fuel efficiency by up to 2.2 percent, and the 2017 D13 will see up to a 2.5 percent improvement in fuel efficiency. Designed with crawler functionality and startability, Volvo I-Shift with Crawler Gears is ideal for applications requiring a slow speed and maneuverability – applications such as concrete mixers with curb pouring capability, asphalt paving, spreaders, dump trucks, heavy haul and line painters. The system is entirely unique for series-produced heavy trucks. Volvo I-Shift efficiency also received a boost from the Volvo I-See system which works in tandem with the I-Shift transmission. I-See is a feature which learns the topography of the road, memorizes it and stores it in the transmission for use the next time the driver travels the routes. The built-in electronics constantly monitor factors such as road grade, speed, weight and engine load to help maintain the most efficient gear possible to save fuel during the driving cycle. Volvo Trucks’ new one-box exhaust aftertreatment system (EATS) combines the diesel particulate filter (DPF) with the selective catalytic reduction (SCR) and diesel exhaust fluid doser into a single unit. 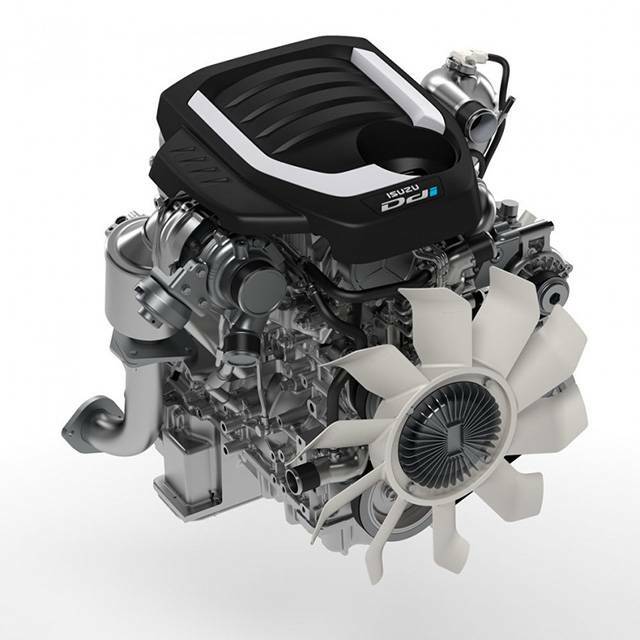 The system also features improved low temperature NOx conversion for lower emissions. The new design configuration results in improved efficiency, smaller chassis packaging requirements and a weight reduction compared with a two-box unit.